If you still haven't got round to adding that upholstered headboard to your bed, we have put together a collection of what we think are the best upholstered headboard ideas to provide you with some much-needed inspiration to get you started. 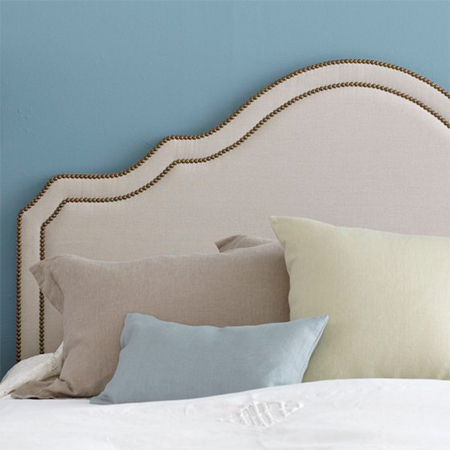 Plus you will find step-by-step instructions for a basic upholstered headboard with nailhead trim. 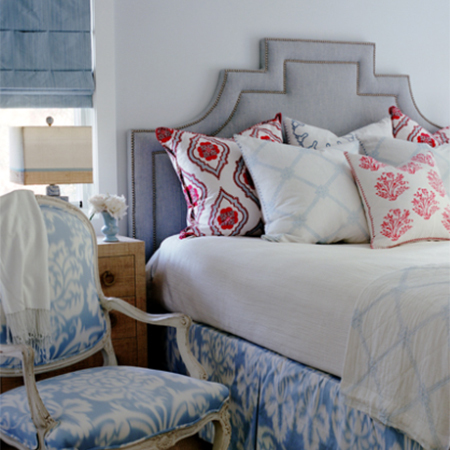 Making your own upholstered headboard is most definitely not a difficult project. 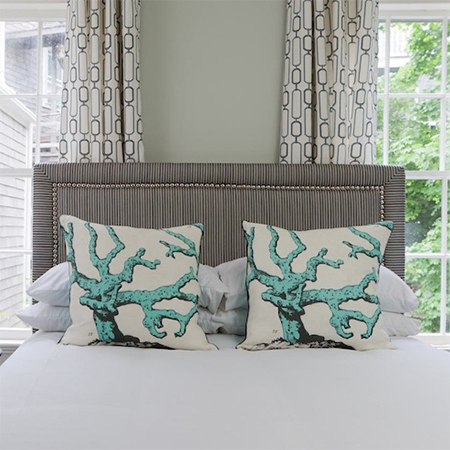 If you have a jigsaw and a staple gun and a few basic hand tools, as well as some fabric and batting, you are ready to get started on making a stylish headboard for your bed. 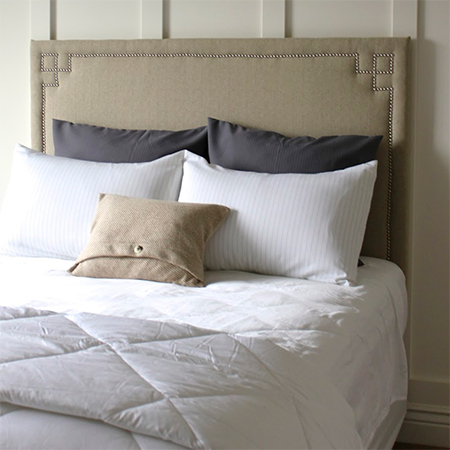 An upholstered headboard can be made using chipboard or plywood, both of which are an affordable board product that costs around R400 per sheet. You can have this cut to a square or rectangle shape to the size that you need for your headboard at your local Builders Warehouse. Padding your upholstered headboard is done using a reasonably thick batting. At a cost of around R30 per metre for batting that is about 2 metres wide, you really only need one metre and can fold this over if you want a luxuriously thick padded effect. 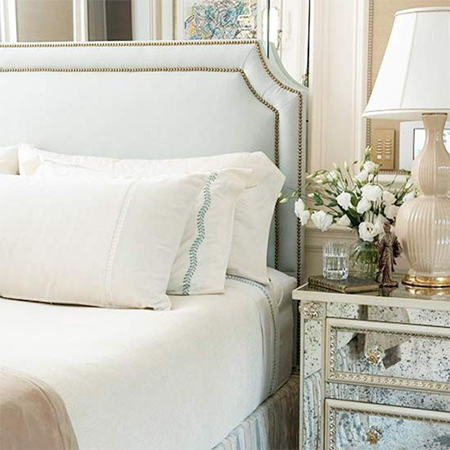 The most expensive part of making an upholstered headboard is the fabric that you choose for wrapping the headboard, which means that it doesn't have to be expensive if you shop around for bargains or choose an affordable fabric. Canvas and bull denim are inexpensive fabrics that are durable enough for upholstery projects and come in a wide range of colours. 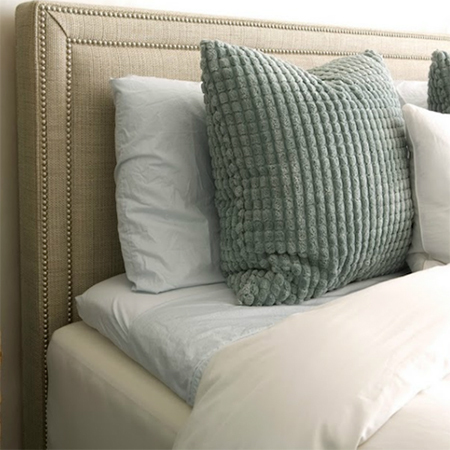 This upholstered headboard is super-easy to make. 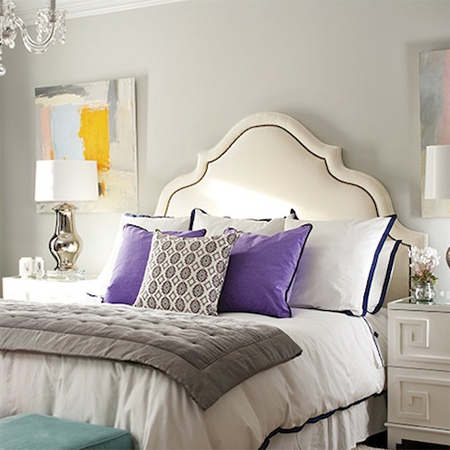 Have a piece of chipboard or plywood cut to the size of your bed, wrap it with batting and canvas and pop in a few tacks to add a decorative nailhead trim. 1. Wrap the board with a layer of thick batting or double up for extra luxurious padding. Place the board on top your batting and secure the batting to the back of the headboard with a staple gun. 2. Place the wrapped board on top of your fabric and staple to the back. Start at the top, stapling to the back and then pull the fabric taut (not too tight) to secure to the back side at the bottom. Repeat this for the sides. 3. Use string and a couple of tacks to mark a chalk line for placing the trim around the edge. Double check with a tape measure to ensure that your line is straight. 4. Hammer in tacks, following the chalk line for a neat, professional finish. Add your own personal touch with extra detailing for your nailhead trim. 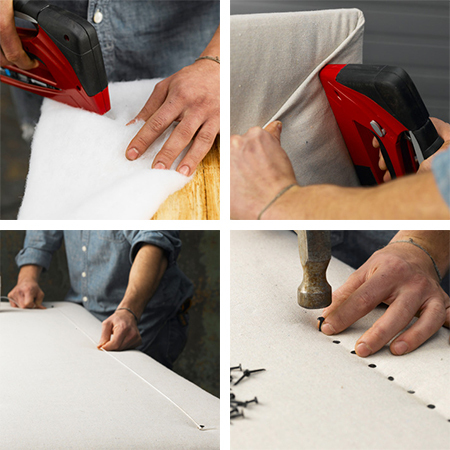 You will find upholstery pins and 1 metre long upholstery pin strips at your local fabric store, and these are handy when wanting a perfect straight edge around an upholstered headboard. 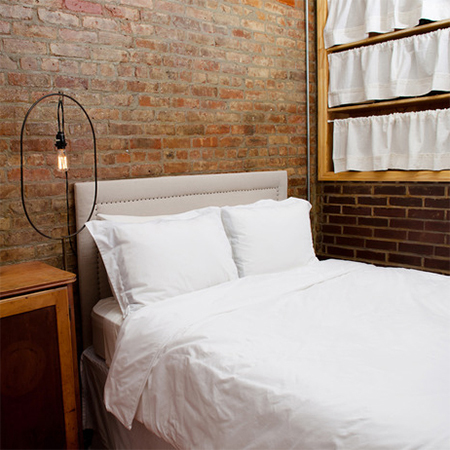 ABOVE: Double up the chipboard if you want a thicker headboard. ABOVE: You can cut your headboard to any shape or style using a jigsaw. Bear in mind that when wrapping fabric around corners you need to allow for small pleats to take up excess fabric. 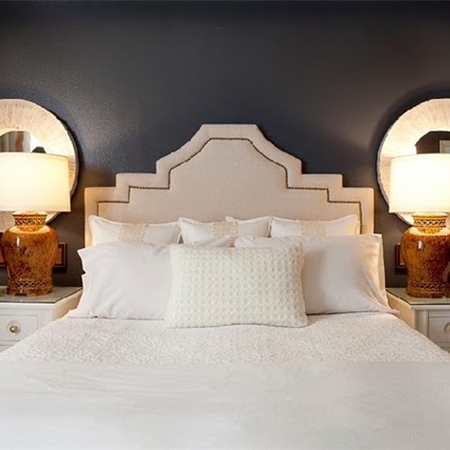 Square or rectangular headboard shapes fit in well with modern or contemporary bedroom styles, while curvy shapes are wonderful for a traditional or romantic bedroom.